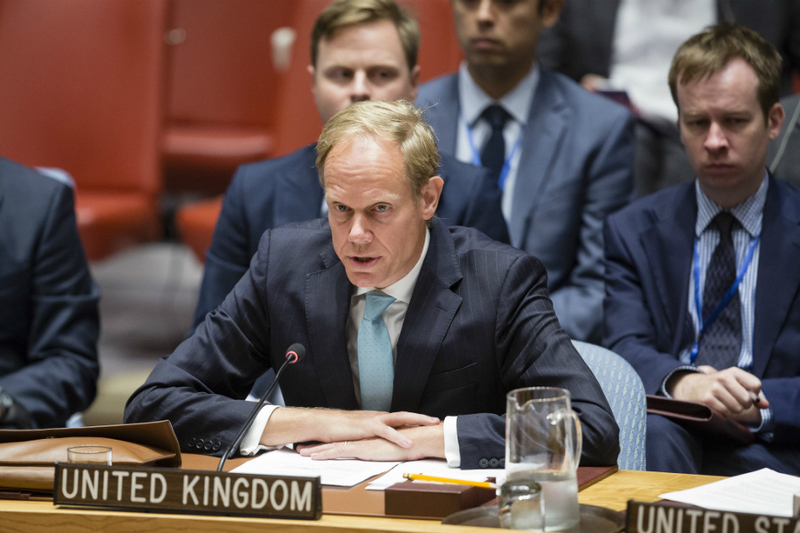 "It is difficult to deny that Russia is partnering with the Syrian regime to carry out war crimes"
Statement by Ambassador Matthew Rycroft, UK Permanent Representative to the UN at the emergency Security Council meeting on Aleppo. Thank you Madam President for convening this emergency meeting today at UK, US, and French request. I join others in thanking Special Envoy Steffan de Mistura for his briefing and for his relentless stamina. The Asad regime and Russia are reducing Aleppo to rubble. Aleppo’s inhabitants are ordinary Syrians who have suffered so much for so long. They are now facing an unprecedented, unrelenting onslaught of cruelty. And it is increasingly clear that it is an onslaught beyond the capabilities of the Syrian air force alone. After 5 years of conflict, you might think that the regime has had its fill of barbarity … that its sick blood lust against its own people has finally run its course. But this weekend, the regime and Russia have instead plunged to new depths and unleashed a new hell on Aleppo. Bunker-busting bombs, more suited to destroying military installations, are now destroying homes, decimating bomb shelters, crippling, maiming, killing dozens, if not hundreds. Incendiary munitions, indiscriminate in their reach, are being dropped onto civilian areas so that, yet again, Aleppo is burning. And to cap it all, water supplies, so vital to millions, are now being targeted, depriving water to those most in need. In short, it is difficult to deny, that Russia is partnering with the Syrian regime to carry out war crimes. Yet only 4 days ago, we heard Foreign Minister Lavrov speak, right here, of Russia’s commitment to a political, peaceful solution… of Russia’s commitment to the cessation of hostilities. Today, that commitment resembles much of Syria: broken, lifeless. The true meaning of that commitment can be seen on the ashen faces of the victims of Aleppo. On the faces of a mother clutching her child, crushed beneath the rubble. On the faces of the White Helmets and medics, injured or killed, as they try desperately to save lives. On the faces of every single man, woman and child who still calls Aleppo home. As the Secretary-General said, these are dark days for the protection of civilians. These devastating events underscore what we have known for so long. Russia needs to be salvaging, not stymieing, efforts to restore the cessation of hostilities. Russia needs to be enabling, not attacking, unfettered humanitarian assistance. And ultimately Russia should be creating, not destroying, the conditions necessary for the resumption of political talks. If it does not take these steps, and more, Russia will only confirm its status as an international pariah. But in truth, as the horrific, unconscionable attack on the humanitarian convoy last week painfully illustrated, Russia simply has no credibility left on these issues. Now Russia will no doubt try to deflect attention away from the crimes it is committing in Syria by blaming the opposition and talking a great deal about the threat from terrorism. But everyone in this chamber agrees that Daesh and Al Nusra are terrorists and must be defeated. That is not the question. But Russia and the regime are not bombing terrorists. They are bombing all forms of opposition and killing hundreds every month. They collaborate with sectarian Shia militias and with Hizbollah - a terrorist organisation in the eyes of many members of this Council and the Arab League – to inflict their own terror against Syria’s civilian population. Let us not forget that Asad’s regime, supported by Russia, have killed far more civilians in Syria than Daesh and Al Nusra put together. So every time we rightly condemn Daesh and Al Nusra terrorism in Syria, let us also condemn the absolute terror being inflicted on the Syrian people by the Asad regime and by Russia, as they continue to bomb Syrian civilians day and night. Because the Syrian people will never forget the death and destruction that the sectarian Asad regime has unleashed upon them. Nor will they forget that Russia aided and abetted this ruthless sectarian dictator in waging war against his own people. They also won’t forget that the international community, and this Security Council in particular, failed to stop the bombing, failed to stop the chlorine, and failed to stop the starvation. So let us be clear. It is Russia’s actions in Syria and in this Council that have caused that failure; it is Russia’s actions that have prolonged the conflict, prolonged the suffering. It is Russia’s four vetoes in the past 5 years that have prevented Council unity and brought shame on us all, and brought their diplomacy into disrepute. So this Council must now do more than demand or urge. We must now decide. What can we do to enforce an immediate end to the bombardment of Aleppo and other civilian areas in Syria. We must decide what we can do now to end the sieges, to end the chokehold that is preventing aid getting in. And in doing so, we must speak loudly and clearly that there will be accountability for these crimes and so many more – including the barbaric, despicable use of chemical weapons by the regime against its own people. That is the only way to stop the suffering. And it is the only way for Russia to atone for its deplorable actions in Syria.